Desk, originally uploaded by Verisimilitude [Zakka]. 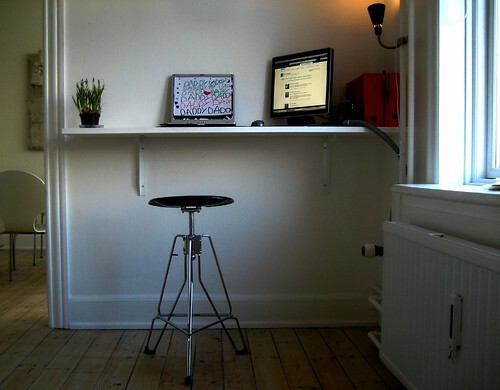 I read today that 25% of Danes choose to work from home 'often' or 'occasionally'. This a record in the EU where the average among other countries is only 13%. Many workplaces encourage it and most of my colleagues have one day a week where they work from home. It's great and it helps reduce stress.